“The United States, China, and maybe the European Union, if Great Britain stays within it” will lead tomorrow’s world; in fact, continued EU membership is the only way for the United Kingdom to secure “a future worthy of her past.” This sentiment could have come straight out of an old French discourse on the pursuit of grandeur through European integration. In fact, it came from former British Labour Prime Minister Gordon Brown . The result of the UK’s upcoming referendum on EU membership – which will take place on June 23 – is currently impossible to predict. With opinion polls indicating a deeply divided electorate, it is vital that reasonable members of the Labour Party, not just the financiers of the City of London, campaign actively for continued EU membership. The experience with Scotland’s 2014 referendum on independence carries important lessons for the campaign. In the Scottish referendum, the key to securing a victory – and a comfortable one, at that – for the pro-UK camp was a combination of negative warnings and positive arguments. In other words, while fear, based on credible risks, has a role to play, so does hope, with a campaign that addresses both the evolution of the international order and the sense of patriotic pride of a majority of British citizens. Fortunately, Brown, a Scot who played a leading role in securing the vote against independence, recognizes this. It is ironic to note that such a discourse would probably be difficult to sustain in France nowadays, even though it is the only other EU member to think in “great power” terms. But France, unlike the UK, is in the midst of a serious crisis of confidence – one that bedevils much of the rest of the EU as well. In fact, it is this European crisis of confidence that has turned the current refugee crisis into an existential one: If the EU fails to regain control of its external borders, it will erect internal ones, jeopardizing the entire European project. Amid such widespread skepticism, Brown’s move to link EU membership with national pride is practically revolutionary. But the logic underpinning the approach is straightforward: The more one is gripped by self-doubt, the more important it is to return to the basics. When faced with acute, seemingly overwhelming threats like Islamic terrorism, Russian adventurism, and demagogic populism, the best refuge can be fundamental principles and values – complemented by a little common sense. What Europeans must remember is that they still live in democracies that not only respect their citizens’ fundamental rights, including the right to express themselves, but that also have economies that are at least as competitive as those of most of Europe’s rivals. Though their leaders certainly have work to do – for example, building more efficient and credible institutions – the EU remains a source of inspiration for others, from the refugees fleeing war and misery to the Chinese, who have constructed European-style cities. To sustain Europe’s international influence, while supporting continued peace and prosperity across the region, the EU needs to address its current crisis of confidence. To this end, Europe needs a moral renaissance rooted not just in European countries’ common cultural heritage, but also in their shared democratic values. Such a movement must be propelled by the sense that, far from being mutually exclusive, European integration and national pride are mutually reinforcing – a perspective that presupposes strong, confident national states, as proud of their individual heritages as of their shared one. Here, the “mother of democracies” can lead the way. In fact, in appealing to British patriotism to boost support for European integration, Brown is betting on the UK’s self-confidence, its democratic essence, and its economic performance. Only on this basis can the country engage willingly, constructively, and fearlessly with the rest of Europe. That is why a campaign against “Brexit” that focused just on the economic and financial consequences – which would be serious, to be sure – would be inadequate: It would not reinforce British confidence. Worse, just as a failure to consider interests is a refusal to confront the “real world,” failure to consider values would be undemocratic, the kind of thing Russian President Vladimir Putin would do. Europe’s crisis comes at a difficult moment globally. The US may be in the midst of a highly uncertain political transition. Russia is engaged in historical revisionism. Africa is facing a bevy of development challenges, alongside a demographic explosion. And the Middle East has become a chaotic and bloody battleground. 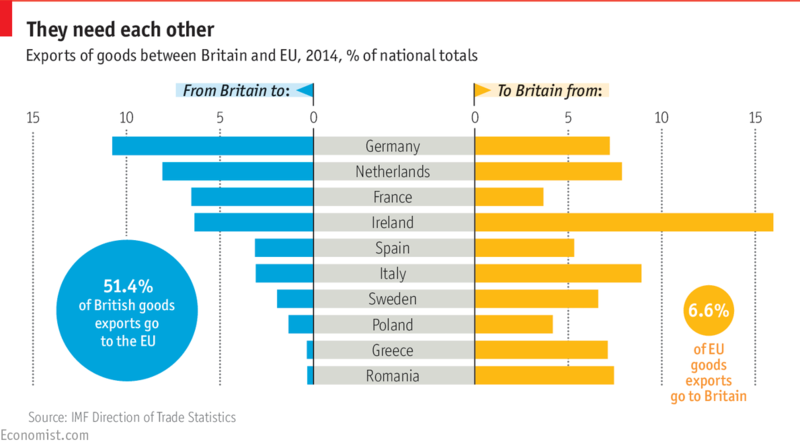 In this context, the most patriotic thing British voters can do is redouble their commitment to European integration. One hopes that Brown and his colleagues are able to convince them in time.